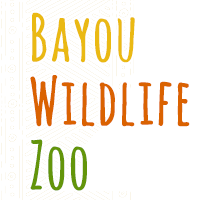 Visit the Bayou Wildlife Zoo in Alvin, Texas, to explore our wildlife zoo with an experienced guide from the comfort of a tram. We take you through 80 acres with more than 400 animals, reptiles, and birds. You'll love listening to our experienced tour guides deliver an exciting and interesting talk about all our unique animals. Our guided tour on a tram allows you to see everything our zoo has to offer without trekking through the vast premises on foot. Each ride lasts approximately 30-40 minutes. 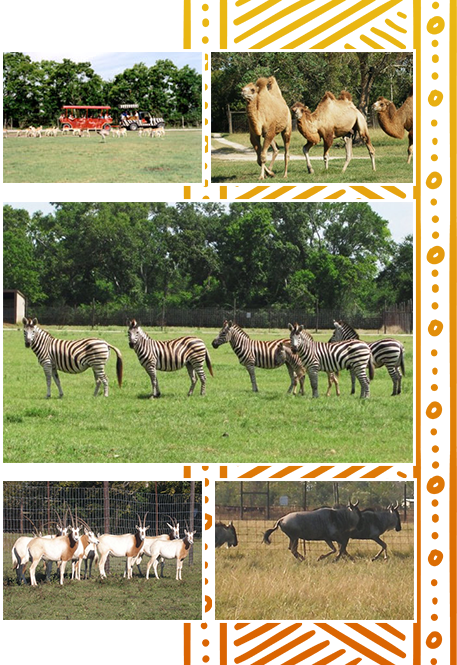 You will see all types of deer, antelopes, buffaloes, camels, zebras, and more exotic animals that you can feed from the tram in an up-close encounter. We also offer group rates for 15 or more guests. Come and spend the day with us to get to know all the different parts of our zoo. In addition to the wide ranges of natural habitat where you can mingle with our animals, we also have three monkey islands and alligator ponds. We allow guests to bring their own lunches and eat in our covered picnic area. This space can accommodate up to 300 people and features drink machines. Please note that no cooking is allowed in this area. Before you leave, stop by our souvenir shop to pick up something to commemorate your trip. Food for the animals costs $2.50 + tax. For this price, you get a bucket of food for feeding the animals while on the tram. On the tram ride, all of the animals eat the food. Please note that we don't offer refunds. However, we happily provide rain checks for days when the weather cuts your trip short.